Blip.fm is internet radio made social. It's easy to search for, play, and discover free music recommended by real people. Join today to create your own free station and start listening to @plainwhitetoast. THE B.E.R. CHIMERICAL FAN ART GALLERY! 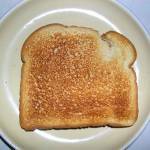 plainwhitetoast Please!? I have been good this year.